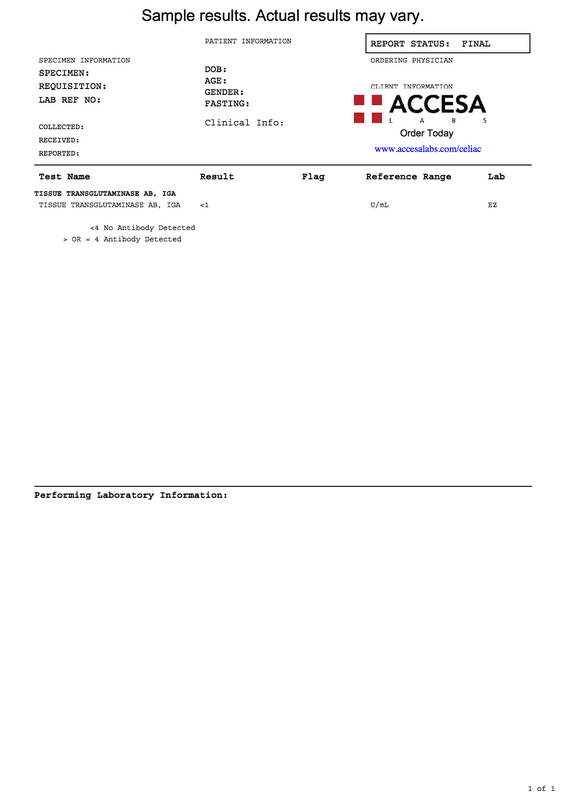 The tTG IgA test measures the tTG IgA antibody blood level. What is a tTG IgA test? The tTG IgA test checks the tTG IgA antibody blood level. Why is a tTG IgA test important? The tTG IgA lab test is important because it can help screen for celiac disease. This tTG IgA Test is a blood test. The tTG IgA test, also known as a tTG-IgA blood test and a tissue transglutaminase IgA antibody lab test, measures the tTG IgA antibody blood levels. Tissue transglutaminase, or tTG, IgA antibodies are proteins produced by the immune system. Also known a tTG immunoglobulin A, tTG IgA antibodies are quite commonly found in people with celiac disease. The tTG IgA antibody test is frequently ordered with the tTG IgG test which are both part of the tTG blood test panel. The tTG IgA blood test is also part of the celiac disease test panel. To get a tTG IgA test near you, order online and get tested at the Quest Diagnostics lab that you selected. Once your tTG IgA lab results are ready, they will be available for download. As can be seen on the sample tTG IgA lab report, the IgA antibody blood levels will be reported as a number and can be compared against the reference range provided by the lab. tTG IgA Test at Guaranteed Prices.